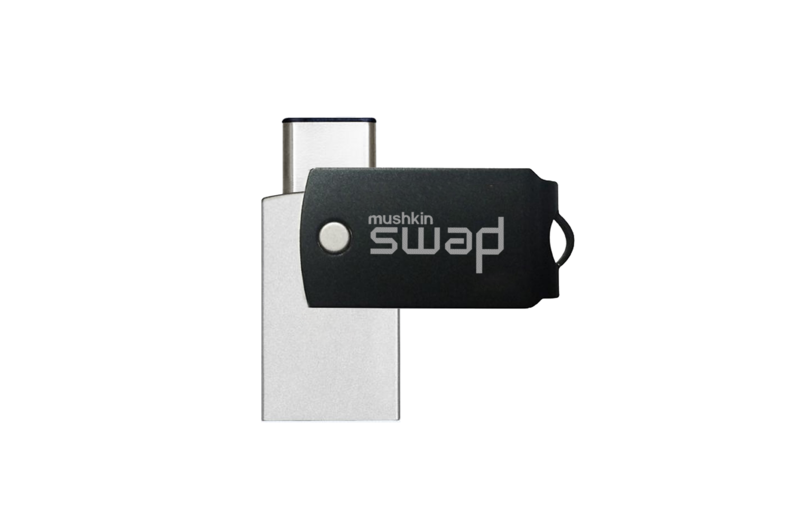 LAS VEGAS, NV — Jan. 10, 2017- Mushkin Enhanced MFG, an industry-leading designer and manufacturer of high-performance and high-reliability computer products, is announcing its most versatile, high-capacity USB flash drive to date with the launch of the SWAP OTG USB 3.1 flash drive. Featuring switchable USB Type A and Type C connectors, the ultra-compact SWAP is ideal for consumers in need of a high-performance flash drive that allows content to be moved quickly and easily from a smartphone or tablet to a computer while freeing up storage on mobile devices. - USB On-The-Go (OTG) Compatible: Conveniently transfer photos, music, videos, documents, and more, directly from compatible smartphones and tablets.